We have all been taught that fat is bad for us. How many times have you seen a label write “low fat” or “fat-free” in the grocery store? Well, believe it or not, consuming a diet that is high in fat can actually be good for you. The Ketogenic Diet has emerged and proven that high-fat consumption can actually help you lose weight and burn fat. Some people who have adopted the ketogenic lifestyle have even noticed an improvement in their diabetes. So, what is the Ketogenic Lifestyle? Welcome to Part 2 of the WCT series on Diets. In Part 1, Intermittent Fasting Explained we go over the popular dietary pattern of intermittent fasting, and how to decide if it’s right for you. Today, we are going to answer all of your keto diet questions and more. Let’s get started. The ketogenic diet is a way of eating that forces your body to produce ketone bodies for energy. This is achieved by consuming a very low amount of carbohydrates, while consuming a high amount of fat. This sounds completely counterintuitive to everything we have been taught to believe. By changing the energy source that your body uses for fuel, many interesting changes occur in your body. Let’s start by explaining how it actually works. In order for the ketogenic diet to work, you must enter into a state of ketosis. Let’s start by explaining what happens under normal circumstances. Whenever you consume a meal that is rich in carbohydrates, your body will break down that food and produce glucose. Glucose is the primary energy source in your body. Once your body senses the increase in glucose in the bloodstream, a few things happen. Some of this glucose will be used immediately (to keep you alert and feed your muscles and other organs) while any extra will be stored as glycogen. Any extra glucose on top of that will be stored as fat. The ketogenic diet does not allow this process to occur. The goal of the ketogenic diet is to use the fat in your body for energy, rather than glucose. Whenever fat is broken down, ketones are produced. There are two ways to make your body produce ketones. The first is fasting. We have written about Intermittent Fasting extensively. Intermittent fasting will put you into a temporary state of ketosis, which will reverse once you break your fast and consume a meal with carbohydrates. The second method is by carbohydrate elimination. If you were to stop consuming carbohydrates, your body would have a very hard time relying on glucose as a constant energy source. Therefore, it will turn to an alternative energy source to keep you going; ketones. In essence, the ketogenic diet works because it mimics a state of fasting. Why would you want your body to produce ketones? Well, there are numerous benefits associated with this diet. Once your body stops relying on glucose for energy, it will begin to utilize fat stores for fuel. More ketone bodies = more fat breakdown. More fat breakdown = less body fat percentage and overall better body composition. Because the diet focuses on achieving a state of ketosis, you no longer have to worry about portion sizes and strict macronutrient counting. High fat and high protein foods are very filling, and therefore they will naturally curb your appetite. Insulin is the primary hormone that helps bring glucose into your cells. With minimal glucose available in the bloodstream, insulin almost has no role. 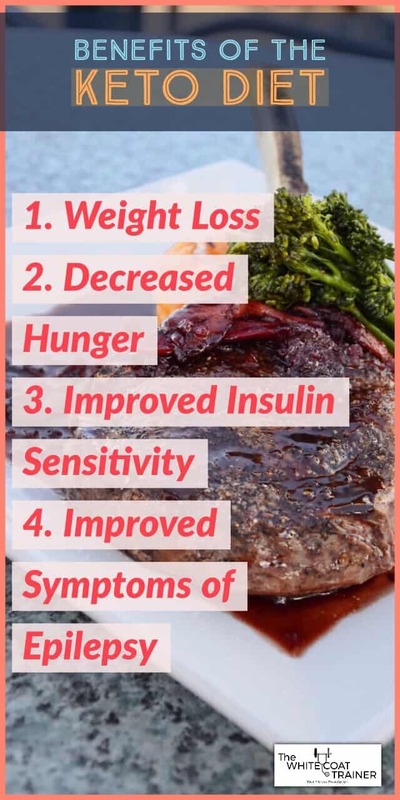 This is why individuals who have Type II Diabetes have noted significant improvements in their blood sugar levels when using the keto diet. *The keto diet has also been linked to improvement of symptoms in people who suffer from epilepsy. Experts aren’t sure why but theorize that the ketones help regulate neurotransmitters in the brain. There has to be a catch right? Is the keto diet actually safe? Here are some of the downsides to the ketogenic diet. 1. We do not have any long-term data on the diet. Because it has gained a lot of popularity in recent years, we simply don’t know how being in ketosis might affect someone 20 years down the line. 2. Because you have to rely on protein and fat as your main source of calories, it is easy to become nutrient deficient. You are only allowed to eat a very small number of carbohydrates every day. As a result, fruit consumption is generally prohibited due to their high carbohydrate content. Vegetable consumption also has to be kept in check. Some vegetables are high in carbohydrates and can put an end to your ketotic state. Fortunately, individuals report that these side effects are temporary. They should improve once your body becomes accustomed to using ketones as a fuel source. 4. In addition, it is extremely important to maintain adequate levels of hydration while you are in ketosis. The initial weight loss experienced on the diet tends to be water weight, which can lead to high levels of dehydration. 5. Lastly, you are limited by the food you can eat. In order to meet your fat and protein requirements, you will likely have to eat a lot of animal products. In doing so, it is important to get quality animal products. As you could imagine, these products come at a premium. But this is your body and your health that you are talking about. Pay a decent price for your health now, or you will pay for your health later in enormous medical bills. Starting the keto diet takes a lot of planning. First, it is important to understand which foods you can and can’t have while following this diet. Traditional carbs, for the most part, will have to be eliminated from your diet. Rice? You can’t have it. It’s very possible that all of your meals contain one or more of these carbohydrates based food groups. Unfortunately, they all have to go. It’s in your best interest to just get these foods out of your house completely. The next thing that you have to do is create a Keto Diet Meal Plan. 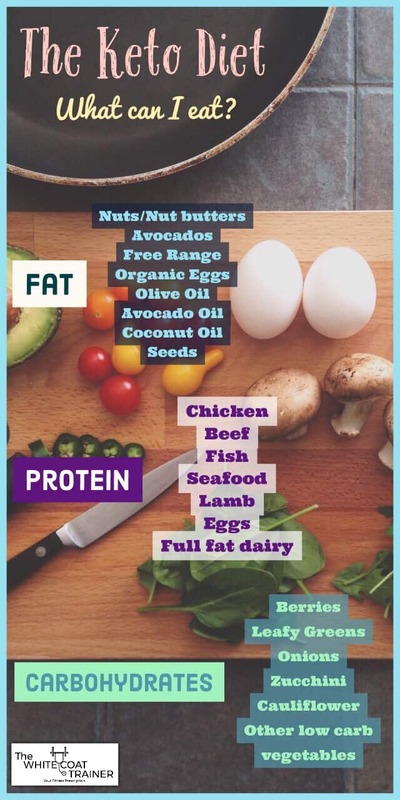 Here is a list of foods that you should eat on the ketogenic diet. Other Low carb vegetables: Green beans, Broccoli, Cucumber, Squash, Peppers, Onions, Mushrooms, Tomatoes, Eggplant, Asparagus. How Much Fat Should I Eat on the Keto Diet? Fat is the most prominent macronutrient that you will be consuming on this diet. It should make up approximately 70% of your entire caloric intake. Obviously, you need to stick to the healthy fats described above. Avoid trans fats at all cost, and avoid any highly processed vegetable oils such as corn oil, grapeseed oil, sunflower oil and soybean oil. If you do not abide by these recommendations, you will likely be causing more harm than good. Protein is the second macronutrient that you must consume an adequate amount of. It should make up approximately 20-25% of your entire caloric intake. Believe it or not, it is possible to eat too much protein on the keto diet. Excess protein will get turned into glucose and defeat the purpose of this diet. Ensure that protein is 20-25% of your total calories, and no more. 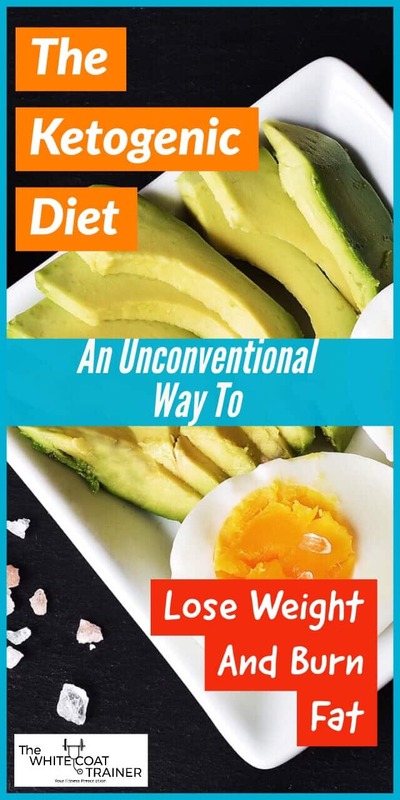 Alright, now that we have the basics out of the way, let’s talk about how to use the keto diet to lose weight and burn fat. In order for this diet to work, you need to keep your carbohydrate consumption to a minimum. We are talking no more than 30 grams of carbs per day. That’s 2 slices of bread and it’s over. This is why you have to make your carbohydrates count. Those 30 grams should be composed of the appropriate fruits (avocados and berries) and green vegetables. If you choose to consume regular carbohydrates, you assume the risk of becoming micro-nutrient deficient. Therefore, it is important to be aware of macronutrient intake. This may require you to track your food intake when starting out. MyFitnessPal is the easiest way to do so. Next, you have to plan out your keto meals. To get some ideas for keto recipes, check out this comprehensive list. The last thing that you need to do is to purchase urine dip testing strips. These are paper strips that turn a certain color whenever they are dipped in urine to detect the presence of certain compounds. If you are in a state of ketosis, your urine sample should show ketones. Can I do the Keto Diet with Diabetes? Very low carb diets such as the ketogenic diet will help lower blood glucose levels and hemoglobin A1C levels. This is because the diet restricts foods that cause high spikes in blood sugar levels. It isn’t uncommon for individuals with Type II Diabetes to see promising results while following a ketogenic diet. It has also been shown to be beneficial in Type I Diabetics. Participants also reported increased satiation while following this diet protocol. With that said, we do not have any evidence to show if diabetics could remain on keto for prolonged periods of time and not have any consequences. This study is underpowered and is of short duration. Always check in with your healthcare provider before making any drastic changes to your diet. In addition, experts recommend that very low carbohydrate diets are not appropriate for people with kidney disease, pregnant patients, patients who are nursing, or those with Gestational Diabetes. Is It Possible To Do The Keto Diet for Vegetarians? What if you want to try the keto diet but you are a vegetarian? It seems that this diet is only for heavy meat eaters. It is actually possible to enter ketosis as a vegetarian. Do not forget, the major component of the diet is fat. The majority of the fat options are vegetarian/vegan friendly. Almost all of the other foods described above are fair game. Nuts, nut butters, avocados, seeds, and monounsaturated oils will continue to be staples in your diet. As always, it is important for vegetarians/vegans to supplement with nutrients (particularly Vit B12) regardless of the diet you are following. 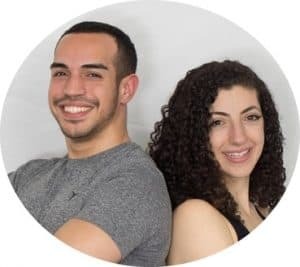 Can I Do The Keto Diet As A Woman? Does the ketogenic diet affect women the same way as men? Anecdotally, keto has been shown to promote weight loss and improve blood sugars just like in men. In addition, it has been shown to reduce menopause symptoms as well, particularly hot flashes and night sweats. 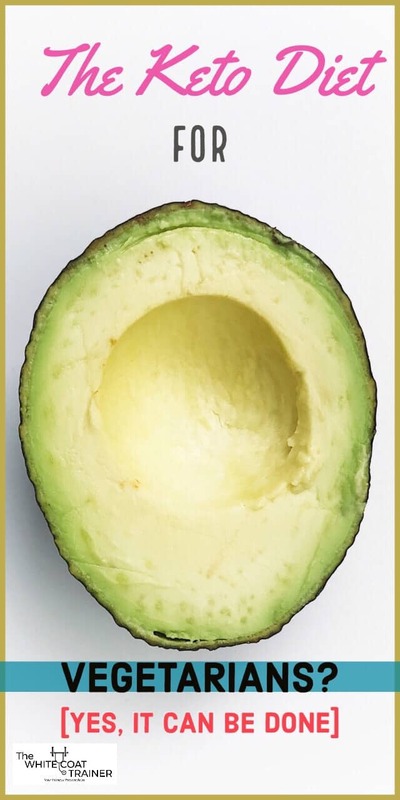 However, as with any significant metabolic alterations, the ketogenic diet could potentially alter your menstruation, and initially result in fatigue and low energy. Women have also reported increased difficulty in adhering to the ketogenic diet around menstruation, as it tends to increase cravings for carbohydrates. Can I Exercise While Following The Keto Diet? Yes, every human in the world should be performing some type of exercise, no matter what. However, you will notice that the ketogenic diet will negatively impact activities that require “all out” bouts of short duration. These include activities such as sprints, heavy resistance training for high repetitions, and all kinds of High Intensity Interval Training. This is because short duration anaerobic activities such as these, rely heavily on glucose and glycogen. If you perform these types of exercises, and want to use the ketogenic diet, then it is important to consume a sufficient amount of protein on a daily basis. Aim to consume 0.8-1 gram of protein per lb of bodyweight. The extra protein will be converted to glucose for immediate use. You should still keep fat consumption high, and carbohydrate consumption minimal. Does The WCT Recommend The Ketogenic Lifestyle? The biggest concern we have over the keto diet is its sustainability. Is the ketogenic diet sustainable? We already know that the diet works great for weight loss, and blood sugar levels in the short term, but we don’t have a lot of individuals who have been doing it for years. With that said, the ketogenic diet is a viable option for busy professionals. Once you understand which foods you can eat, and which foods you can’t, its easy to plan for. If you are someone who needs to lose weight, and burn fat, then you can consider trying it. 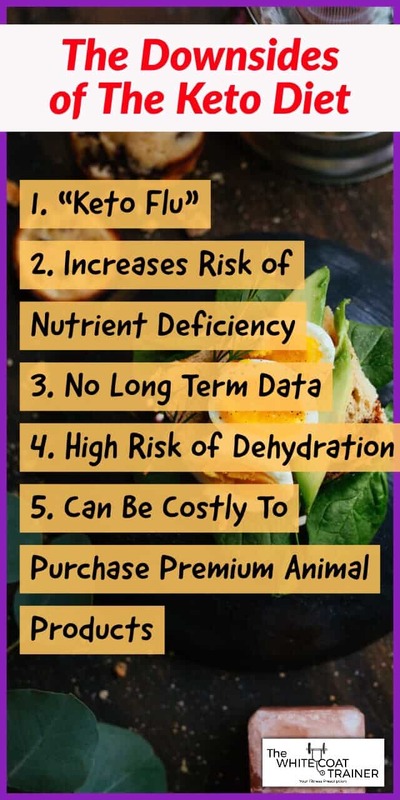 It may also be a good idea to alternate the keto diet with other eating patterns since we do not know its long term effects (for example, 3 months of keto diet followed by 3 months of a Mediterranean diet and so on and so forth). If you don’t need to lose weight, then we do not recommend you do it. Because the diet is so restrictive, it is difficult to maintain long term. In addition, if you do not consume enough vegetables, then you are at risk of becoming deficient in many key nutrients. Nonetheless, we can learn a lot from this diet. There is one thing that is applicable to almost everyone. We should be consuming more healthy fats in our diet! Fat is very good for you! So, what do you think? Have you tried the ketogenic diet before? Do you think it is sustainable? For some people staying in ketosis is enough for significant weight loss. In my experience (because I’m not very obese to start with?) I had to eat at a calorie deficit to see results. Keto is definitely the most sustainable diet I’ve been on, mostly because it’s easier mentally to stay in ketosis once you get there. Eating right in the "conventional" way is much harder for me because you have to be disciplined enough to make the right decision with EVERY meal. I find that a lot harder. Thanks for your comment.Ive heard friends say the same thing.. it’s easier to stay on it mentally once they are in ketosis. And thanks for sharing the N of 1. That guy is a beast!